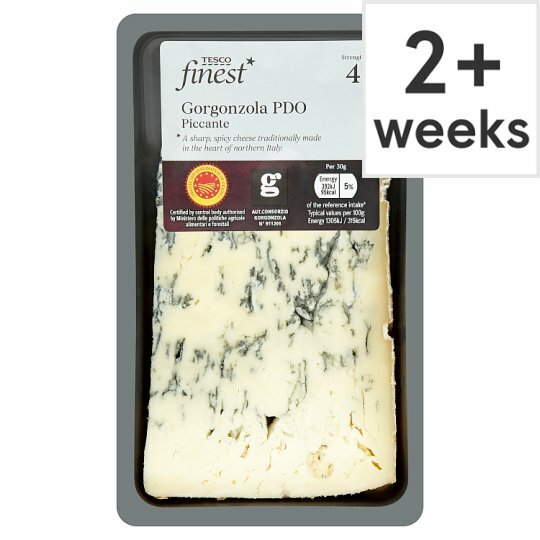 Gorgonzola PDO, blue veined cheese made from cows milk. A sharp, spicy cheese traditionally made in the heart of Northern Italy. INGREDIENTS: Gorgonzola PDO Blue veined Cheese(Milk). Caution: The rind on this cheese is not edible.